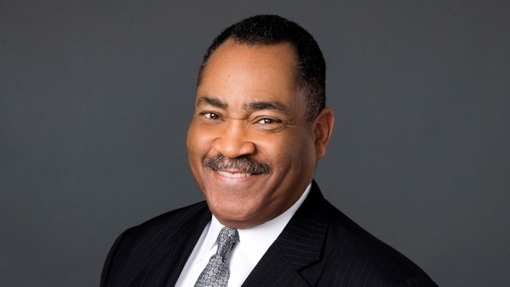 While his colleague, sports anchor Dale Hansen, soldiers on, longtime TEGNA8 anchor John McCaa has decided to retire from the station in March of next year after declining a management offer to stay aboard. McCaa, 64, joined TEGNA8 in 1984, originally as a reporter in the Dallas-based station’s Fort Worth bureau. He has been anchoring weekday newscasts since December 1991, when he teamed with the late Chip Moody on the ABC affiliate’s 5 p.m. editions. Since August 2002, McCaa has been part of the station’s 10 p.m. weeknight anchoring duo, first with the now retired Gloria Campos and now with Cynthia Izaguirre. A rotating tri-anchor system earlier was briefly in place. There may be teaching in his future. In 2015, McCaa earned a Ph.D in humanities-history from the University of Texas at Dallas. He has long expressed an interest in putting it to use in the classroom. Last week, TEGNA8’s Hansen accepted management’s offer of a new two-year contract that will take him through the year 2020 after he first joined the station in 1983. Hansen turned 70 on Aug. 2nd. In a feature written in 2009 for D CEO magazine, I looked in depth at McCaa’s life story, which included a stint as an R-rated standup comic while in Omaha, Neb. and also anchoring for that city’s WOWT-TV. You can find that article here, and of course we’ll have a longer look at McCaa on unclebarky.com as his retirement date draws nearer.